Birds can make great pets – especially for people without a lot of space. Birds can also be very loud. This doesn't mean you'll never find a bird friend if you cherish the quiet, though. There are plenty of birds that live relatively low-volume lives. Before you decide to adopt a bird – or any pet for that matter – you should make sure you can handle the responsibility and time requirements that come with pet ownership. And you should also accept that no bird will live an absolutely silent life. 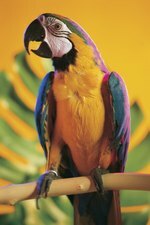 Now read on to learn about some of the popular pet birds that are good fits for folks that like peace, quiet, and feathers. Smaller birds mean smaller voices – and less cleaning! Finches and canaries are popular birds that don't cause too much of a racket. These birds do chirp, and males are known for their singing ability. They need large cages to fly around, and they are territorial so it's better to have one bird per cage, without any mirrors. They have great personalities and enjoy watching their owners from afar. These are small, fragile birds, so they're probably not good pets for homes with children. They can live up to 10 years. These birds are true people lovers. Cockatiels are highly social and intelligent birds, and they're in the parrot family so they can be taught to speak. They like to imitate noises they hear, usually by whistling, and while they can squawk, they can be relatively quiet too. They're easily trainable and love to be out of their cages with their human friends. Cockatiels require plenty of time with their owners to remain tame, so they might not be a good fit if you're always out and about. Cockatiels do great in homes with children and are a perfect choice for first-time bird owners. Their lifespan is generally between 10-20 years, and they can live even longer if they're cared for properly. 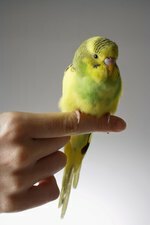 Parakeets (also known as budgies) are smart birds with great personalities. They can be taught to whistle or talk, and they're not known to squawk. They're independent birds but will remain friendly if handled regularly. Parakeets are easy to take care of due to their small size, but they're active birds and need to be let out of their cage every day to get some exercise. These cute birds do well around children and in apartments, and they can be taught to be quiet on command. Their typical lifespan is between 5-9 years, although it's not unheard of for a parakeet to live well over 10 years.